I lost my grandfather, my only living grandparent, to a losing battle with Parkinson’s on the 21st of this month. On the 22nd, I gave in and picked up a novel and read a chunk of it. I never ended up finishing it though. I never picked up any non-fiction books either, after. Regardless, I was a tiny bit happy to see it. I finally gave in on 29th, which was yesterday, and decided that non-fiction was a bust. It had drained me mentally to read Being Mortal, enlightening though it was, because it had made me realise all the ways in which we’d failed my grandfather, who was already beyond help by then. I did learn something about myself during this month though. I not only stress-eat, but also stress-read. And I only stress-read fiction. Non-fiction is an enjoyable learning experience, but fiction is my second home. Nonetheless, I read some amazing non-fiction this month, books I may never have gotten to otherwise, in my rush of reading all the good novels I can get my hands on. I’ll continue to read non-fiction,at least a book each month or every two months. And I’ll try to do non-fiction month again next year. This entry was posted in 2015 plans, Author Lovin', Challenges, Life and other stupidities, non-fiction and tagged Authors, being mortal, Cormoran strike, death of a loved one, Non-fiction on October 30, 2015 by Sin. Non-fiction month is very hard, guys. I suddenly want to read every novel ever written; every novel that had been sitting on my shelf for ages untouched, unappealing, until this month. I tried reading A Room of One’s Own by Virginia Woolf but she’s so verbose and meandering and I haven’t been able to get into it at all. It’s a tiny book, about 120 pages long, and I expected to finish it in a day. I’ve cleanly avoided that possibility however, by picking it up as less as possible, for tiny periods and spending the rest of my time watching TV and browsing the internet and sleeping. The last book that I read was Writing down the Bones by Natalie Goldberg. I really liked this book. As she states in the preface, this book can just be randomly flipped open to a chapter and read in any order because each one gives a different and interesting tip to improve your writing and also to keep writing. It gave me some great ideas and I think I’ll reread bits of it all through NaNoWriMo if I get stuck. I feel like the book was a little too solemn though. Writing is a funny business, you know? You can’t survive being a writer without some humour. That is why I love Bird by Bird so much. I think I ended up comparing them in my head throughout because they both deal with writing and spirituality and life. Writing Down the Bones is a lot more about Zen and spirituality and using your craft as your spirituality. I really like that because I’ve always thought something similar. I always write out the prayers I send out into the universe because I think it’s more effective. Patti Smith also says she did this in her book Just Kids and it made me very happy. This entry was posted in Book Reviews, Books, Life and other stupidities, My writing (or lack thereof), non-fiction and tagged books about writing, natalie goldberg, Non-fiction, writing on October 21, 2015 by Sin. Since this is Non-fiction Month, and since I don’t read non-fiction nearly often enough, I’ve decided to try to review every book I read this month. It won’t be more than four or five books, but I think that’s still a big deal because reviewing non-fiction is hard, especially non-fiction I’ve enjoyed and want you guys to want to read. Look at this beautiful cover, representing the fragility of life. 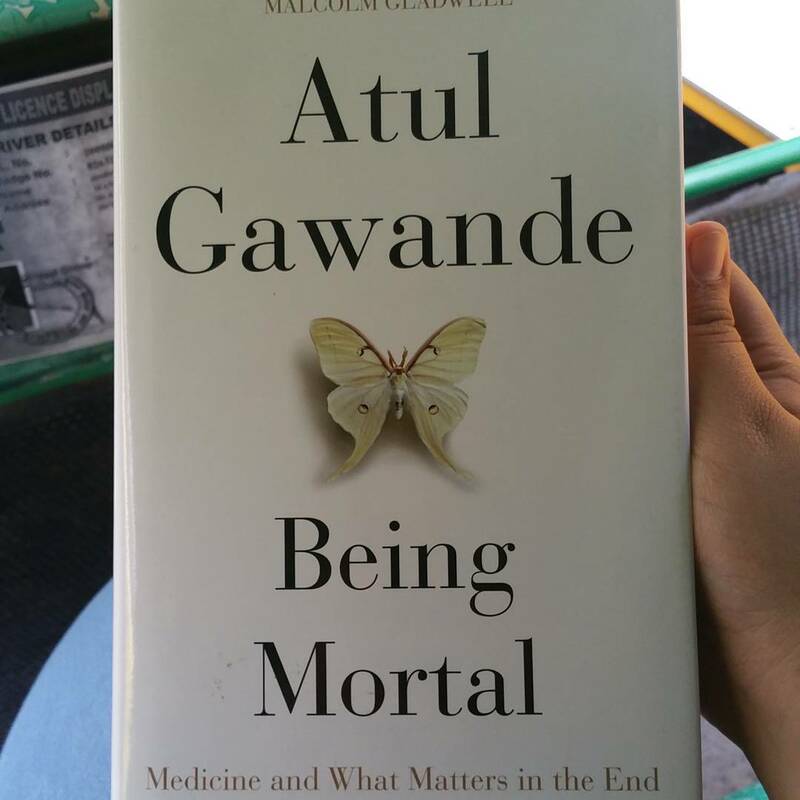 The second book I read this month (not including Bird by Bird) is Being Mortal by Atul Gawande. It was voted one of the top 10 non-fiction books by Amazon, and it was a great bestseller. I didn’t pick it up because of that though. This is a book one of my friends went nuts about in college, and recommended to everyone. She wants to go into medical policy research, especially policy about equal opportunities for the differently-abled. She gifted the book to our Medicine and Public Health Law teacher when we left college. She and I, we had this tradition where we’d go places like coffee houses, or restaurants, or anywhere really, with books in our bags, sit quietly and read together. I remember sitting with her at the little shack where we used to get coffee and instant noodles and she grabbed a pen and wrote all over the margins of this book. She couldn’t stop smiling and staring up at the sky like she’d had a revelation. 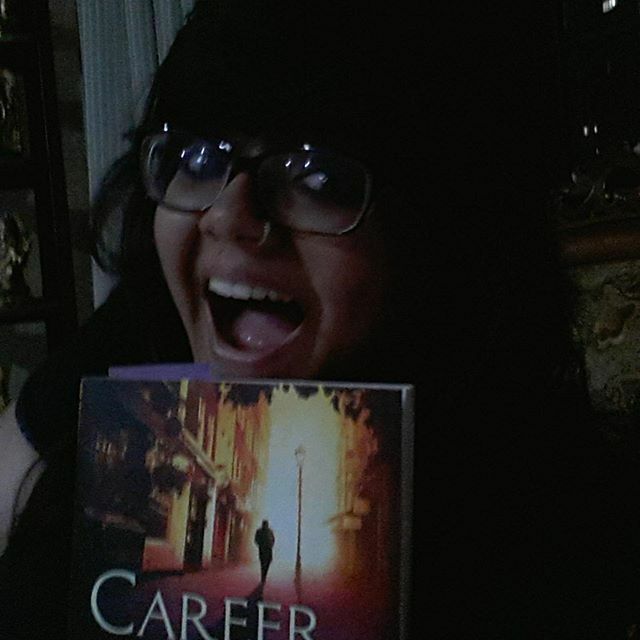 Her obvious love and excitement for the book got me excited about it too. The author Atul Gawande, is a doctor. He writes about the one topic doctors seem to hesitate to talk about; mortality and death. He says that people are living longer enjoying better qualities of life than ever before. However, people’s bodies still fail. He felt like the entire process of death has shifted from the home to hospitals and nursing homes, has become medicalised, in other words, and that the medical fraternity and society and large is unprepared for the enormous elderly population that exists today and for the concept of terminality and certain death as a whole. This book talked about so many concepts like elder care, hospice care, euthanasia and the responsibility of doctors towards patients and the patients’ family. He opines that our priorities of safety over autonomy for our loved ones may deteriorate their quality of their lives rapidly. He brings in philosophy, sociology and psychology. And he still makes it understandable to people with no knowledge or experience in any of these fields. It isn’t all academic though. He talks about his own failures and learning processes as a general surgeon. He talks about his interviews and interactions with people faced with mortality, both because of age and because of illnesses. He talks about his own personal experiences with death and disease. I never expected it from what I thought of as an academic/ medico-legal philosophical book, but this book made me tear up at the end. Loss of a loved one is always a painful thing, but today’s lifespans mean that generations of family members need to learn to cope better. I haven’t been coping or handling it very well in my own life. I’ve been feeling really helpless, actually. This book made me realise that I’m not alone in feeling like the situation should be better. It also made me realise that it can be better with just a few changes, and that it’s a goal that’s achievable during my own lifetime. The wisdom, accessibility, lack of judgment and and new perspective of the book just made me think of things that had never occurred to me before. Sadly, my sensitive, small brain has now had an over-large dose about the bleak state of affairs pertaining to our bodies and health, and will not be able to digest another eye-opening, mind-altering book for a while. The book I was originally going to read after this is Our Moon has Blood Clots but I need to break it up with something lighter first, so I’ll pick up Writing Down the Bones for my NaNoWriMo prep now, and read something heavy after. I really, really want to just give up and read a novel right now, but I won’t. I’m sticking to my guns! This entry was posted in Author Lovin', Book Reviews, Books, non-fiction and tagged New perspectives, Non-fiction on October 13, 2015 by Sin.